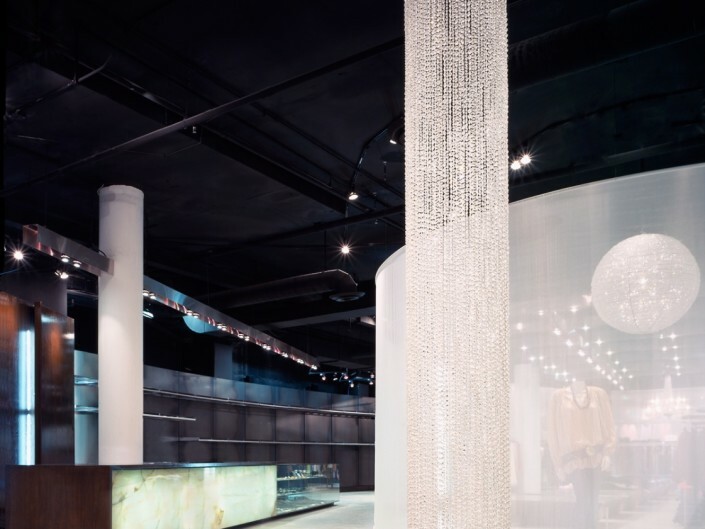 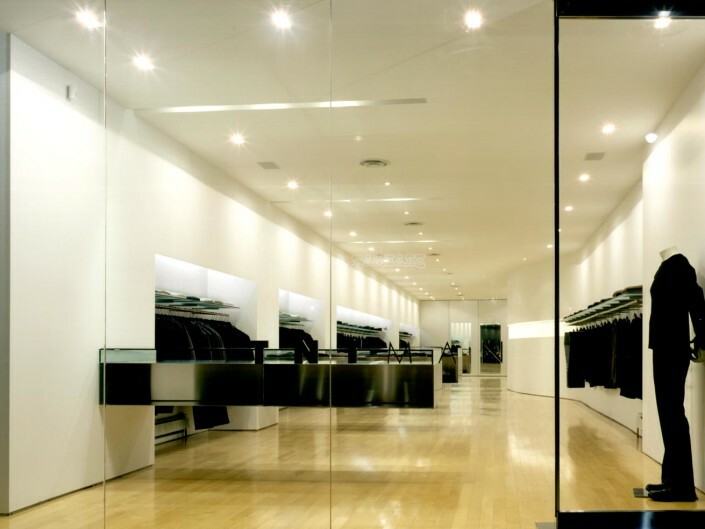 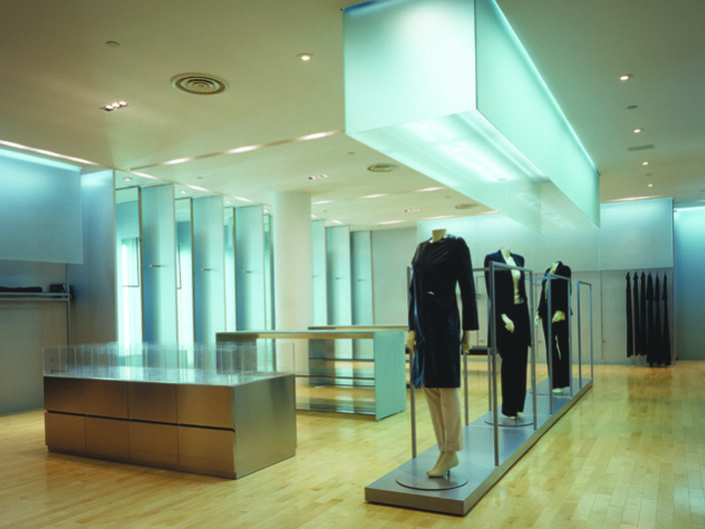 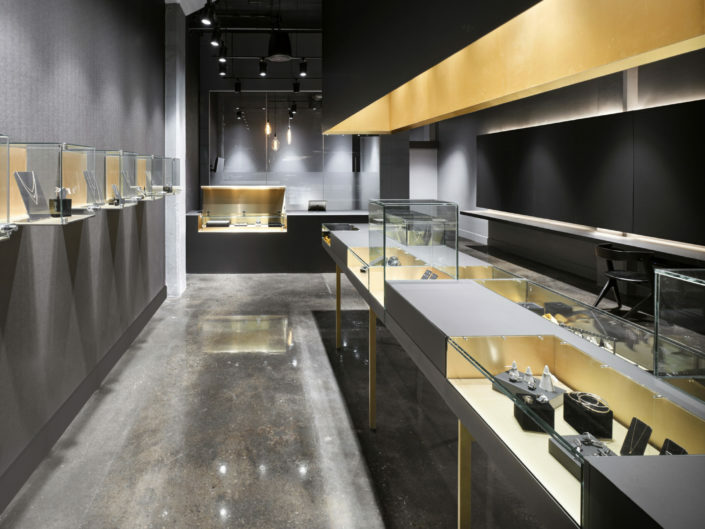 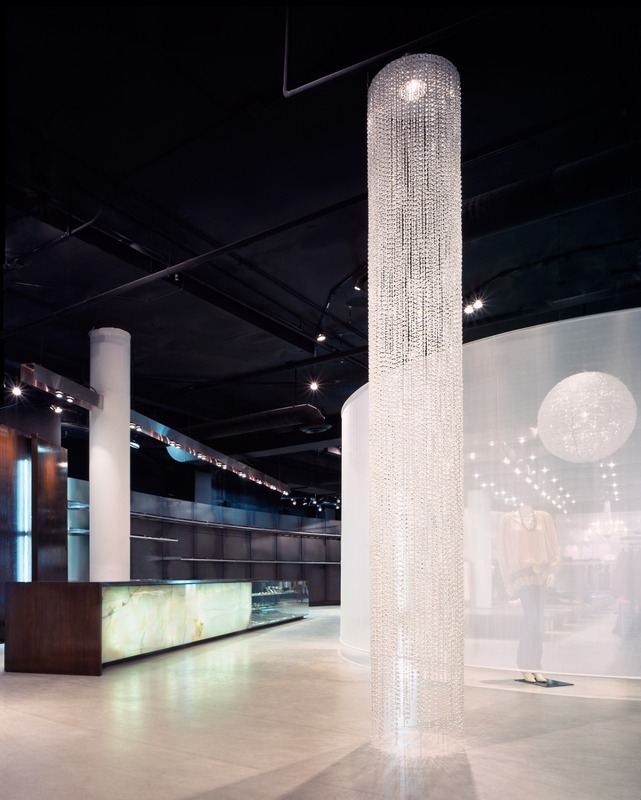 This 10,000 SF boutique represents a new direction for the TNT retail concept and corporate image. 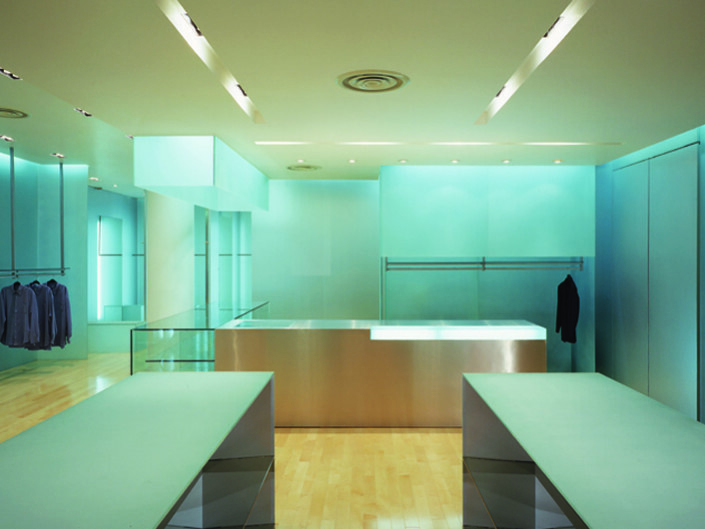 The interior design concept recognizes the enormity and amorphousness of the existing space. 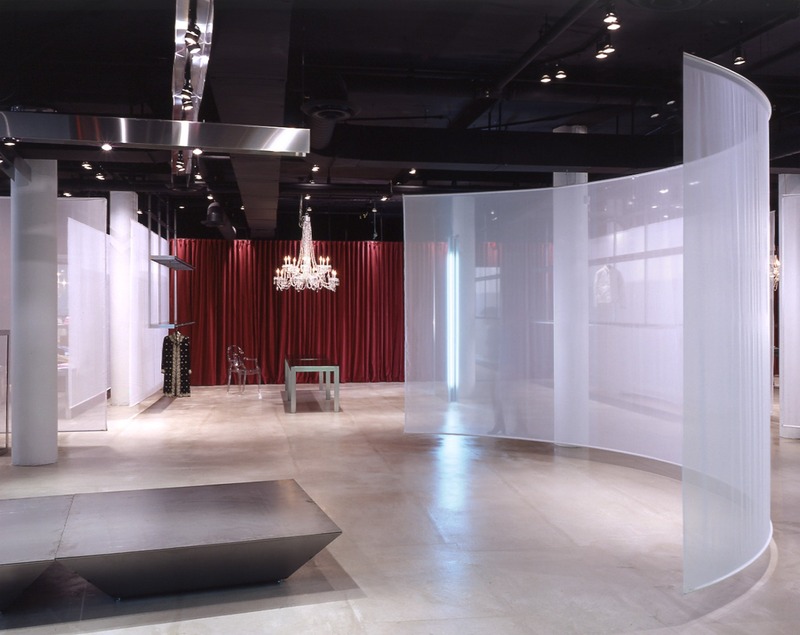 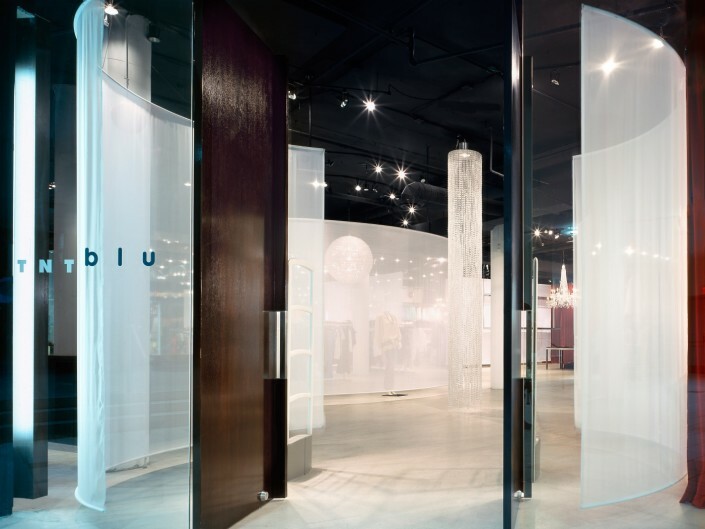 The space is organized by a spiral, funnel-like plan layout shaped by suspended sheer fabric screens. 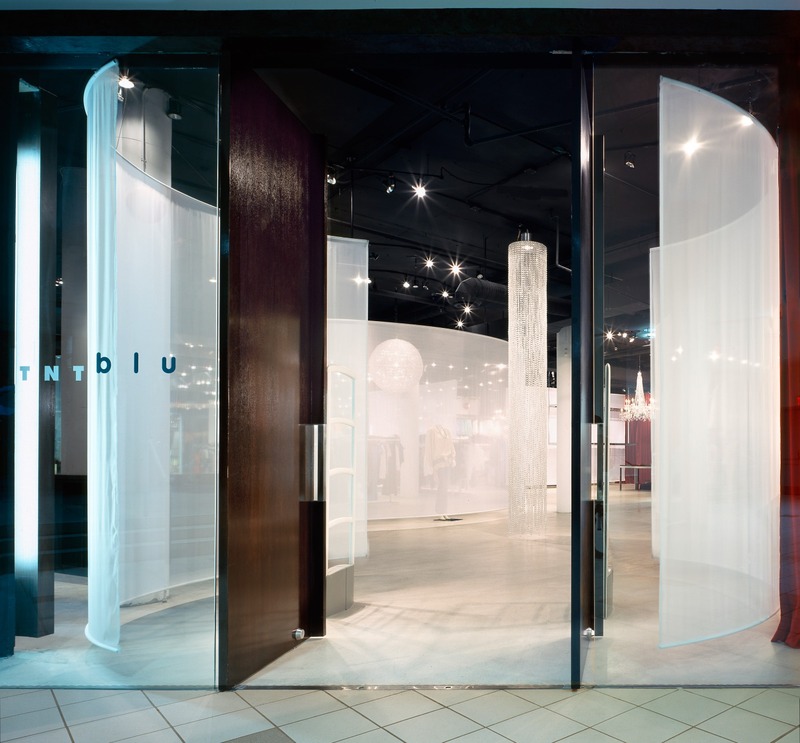 Customers are encouraged to wander through the various featured areas including a Denim Bar and a large oval space at the centre that features new clothing collections and lounge seating. 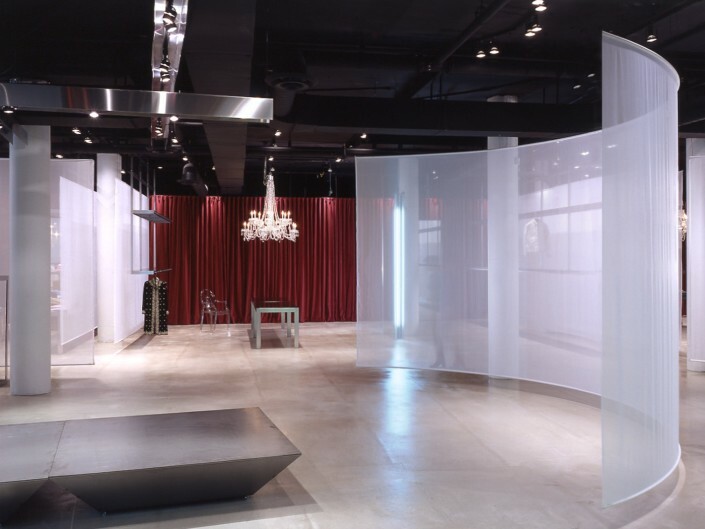 Red velour curtains extending the length of the space, custom-designed chandeliers, hot-rolled steel fitting rooms, onyx and walnut-clad cash desk, a jewellery counter and an eclectic collection of antique and modern furnishings provide additional details within the boutique.